You might be familiar with the popular notion that good posture involves “standing up straight” or thrusting your chest outward. Though this advice is commonplace, it isn’t necessarily correct. For people with certain postural patterns, this conventional wisdom might exacerbate their problems. As seems to be the case with so many things, one-size-fits-all advice might not work for everyone’s posture, hence the need for assessment and individualized exercise and lifestyle prescription. 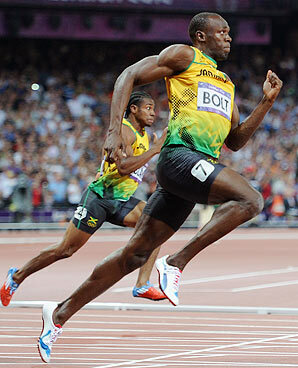 For various reasons, many athletes and gymgoers have an “open-scissors” or “extended” posture. Their lower backs have an excessive lordosis and their anterior ribs on both sides are flared outward and upward (i.e., externally rotated). These are people who might have little body fat, but might nevertheless appear to have a “gut” because their extreme lordosis thrusts their bellies forward. If you watch these people breathe, then they likely have high activity of accessory inhalation muscles (e.g., sternocleidomastoid, scalenes) and take rapid, shallow breaths. They might also claim that they feel overly stressed or anxious, sleep poorly, or have frequent headaches, among other things. The hyperextended, “open scissors” bro. Weightlifters might develop this posture because, in addition to doing exercises that place a high demand on the spinal erectors (e.g., squats and deadlifts), they believe they should keep their chests up in many exercises (e.g., rows, deadlifts, squats, etc.) and therefore place an even higher demand on their spinal erectors. Athletes might get stuck in this posture because their sport requires it (e.g., hockey), or because coaches have been cuing them to keep their chests up their entire athletic careers. Hypermobile people might develop this posture because bone-on-bone contact is their best source of stability. And if someone has experienced a significant stressor or trauma, then they might also have this posture. In Postural Restoration Institute (PRI) lingo, these “extended” people are classified as Posterior Exterior Chains (PEC’s). 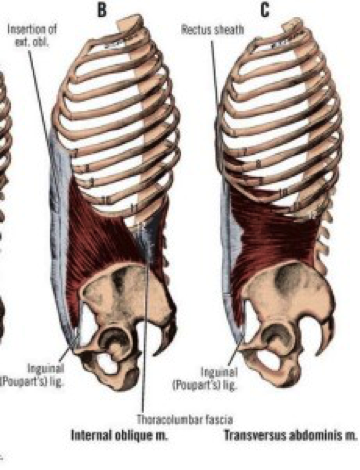 PEC’s are bilaterally positive in the Adduction Drop Test (a modified Ober’s Test), which indicates that both iliums are forwardly rotated, abducted, and externally rotated. Assuming they don’t have any pathology at the anterior hip, then they’ll also be bilaterally positive in the Thomas Test. The PEC’s diaphragm and posture resembles the left picture (i.e,. a state of inhalation). These tests suggest that both hemi-diaphragms are chronically descended and relatively flat, which reflects that the diaphragm is hypertonic (i.e., chronically contracted). Since the contraction of the diaphragm brings air into the lungs, PEC’s will chronically have a lot of air in their lungs. 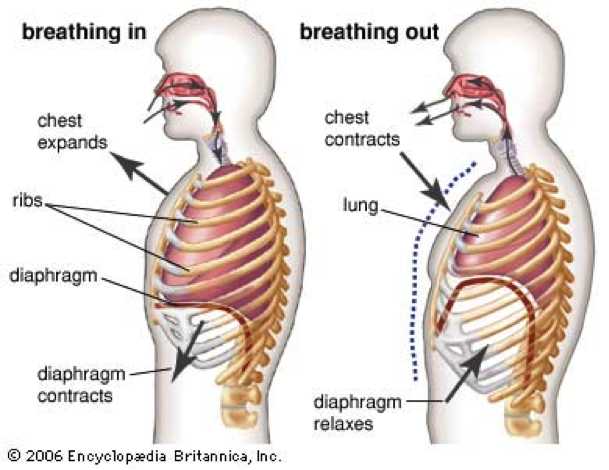 (Though I expect I’ve already used too many terms to describe this posture, another term used is “hyperinflated.”) Because the diaphragm is already so contracted and mal-positioned, it’s an ineffective respiratory muscle, which explains why these people have increased activity in accessory respiratory muscles. In addition, the diaphragm’s flat position also causes its contractions to extend the lumbar spine, which contributes to the global extension in PEC’s spines. At the risk of overwhelming you with anatomy, PEC’s have hypertonic back extensors and long and weak anterior cores, specifically the internal obliques and transverse abdominis. The internal obliques and transverse abdominis assist in forced expiration, which will be important later in this post. The internal obliques and transverse abdominis extend the ilium, internally rotate the ribs, and assist with exhalation–they’re the good guys. To me, the PEC’s posture and respiratory patterns represent a state of vigilance and mobilization (i.e., high sympathetic tone). To give only a few of many possible examples to support this reasoning, the person’s breathing is rapid, which increases the supply of oxygen to their cells so that their cells have enough energy to deal with perceived stressors. Gross extension, as per Freyette’s Law, also decreases the potential for movement in the frontal and transverse planes. According to PRI, this loss of range of motion can be advantageous because there are fewer movement options, which decreases the demand on the central nervous system and therefore might make decision-making quicker. This reasoning may explain why startling someone (e.g., unexpectedly screaming in their face) can cause changes in their orthopedic tests that correlate with a PEC pattern (e.g., decreased humeral glenoid internal rotation, decreased cervical axial rotation, etc.). In some situations, this “vigilant” posture and autonomic state can be adaptive. For example, if someone is trying to win a 100-meter sprint, hit a squat PR, or possibly even cram for a final, then this posture may help them achieve their goals. But this autonomic state, posture, and respiratory pattern may not be adaptive either after the stressor is over or in the absence of a legitimate stressor. To paraphrase Robert Sapolsky’s discussion of stress in his book, “Why Zebras Don’t Get Ulcers,” the stress response maximizes performance in the short-term, but frequent activation of the stress response can compromise performance in the long-term. For example, high blood pressure can help you run away from a homicidal lion, but chronic high blood pressure can also cause hypertrophy of blood vessels and formation of atherosclerotic plaques, thereby increasing the likelihood of cardiovascular disease. (There are a myriad of other examples of how chronic stress worsens health. The aforementioned book by Sapolsky is an accessible and informative read on how stress affects different aspects of health.) An extended posture might help someone deal with a particular physical stressor, but chronically being in an extended posture might cause overuse injuries and have other deleterious effects on health and well-being. So to be a well-functioning organism, you want to be able to achieve a state of vigilance and mobilization (i.e., high sympathetic tone with little parasympathetic tone) when it’s appropriate, and to be able to achieve a state of rest-and-digest or prosocial behavior (i.e., high parasympathetic tone with little sympathetic tone) when it’s appropriate. Thus, you don’t want to be stuck in a high sympathetic state when it’s unnecessary. (An exception to this rule of thumb might be someone who’s trying to achieve the highest levels of performance in sports that have minimal variability, such as powerlifting, weightlifting, or sprinting, then chronically being in this pattern may be the optimal strategy for maximizing performance. But for someone who doesn’t want to sacrifice everything to reach the highest levels of performance possible in highly specialized sports, then it might be beneficial to be able to vary postural and autonomic states.) Indeed, perhaps one of the most important benefits of meditation as it relates to stress-reduction is that meditation decreases sympathetic tone and increases parasympathetic tone. 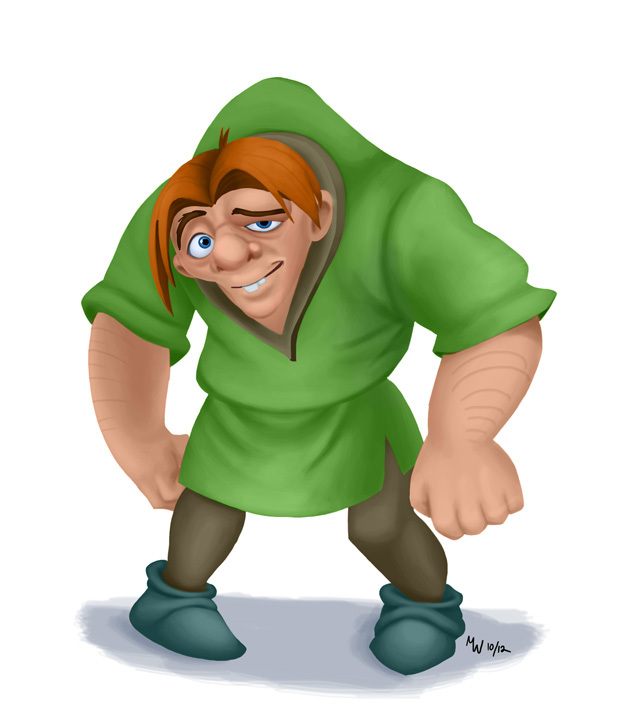 Exhaling and flexing to neutral won’t make you Quasimodo. Unless you are Quasimodo. For the person stuck in a hyperinflated/extended posture, the first goal is to get them to exhale and flex. (According to PRI, you need to fix problems in the sagittal plane before fixing problems in the frontal and transverse planes.) The goal isn’t to get them to walk around with a back as rounded as Quasimodo, but they should be able to exhale to a less inflated state and flex out of gross extension to a more neutral position. The Swiss Ball All Four Belly Lift, an exercise from PRI, is one of our favorite exercises to accomplish that. Watch the video below to learn how to perform the exercise (and to amuse yourself as you listen to me stumble over my words) then I’ll discuss what makes this exercise so valuable. If you paid attention to the video, then you may have been annoyed and/or amused by how many times I mentioned that you should be feeling your abdominal walls while doing this exercise. I won’t argue that I was remarkably eloquent in that video, but my emphasis wasn’t unintentional: the internal obliques and transverse abdominis (i.e., the “abdominal wall” I was referring to) oppose the PEC/open-scissors pattern. As I discussed earlier, someone in this extended posture has ribs that are bilaterally externally rotated and hemi-pelvises that are bilaterally forwardly rotated. The internal obliques and transverse abdominis, which are chronically lengthened and weak on both sides in a PEC, contract during forced expiration. These muscles extend the ilium (i.e., posteriorly tilt the pelvis) and internally rotate the ribs (i.e., bring the ribs down and in). In doing so, the diaphragm domes and becomes better positioned to function as a respiratory muscle, which decreases the need to use accessory respiratory muscles. This exercise also targets the serratus anterior on both sides of the body, which promotes desirable thoracic flexion. When all these things happen, the person is able to achieve posterior mediastinum expansion (i.e., “breathe into their back”) and inhibit the spinal erectors when they inhale, which is why someone should feel a stretch in the muscles along their thoracic spine during inhalation. As is the case with many PRI exercises, the breathing is critical in the Swiss Ball All Four Belly Lift. Peter wrote about the autonomic influences on breathing in a previous post that is worth reading, but to summarize, increasing the length and depth of exhalation increases parasympathetic tone. 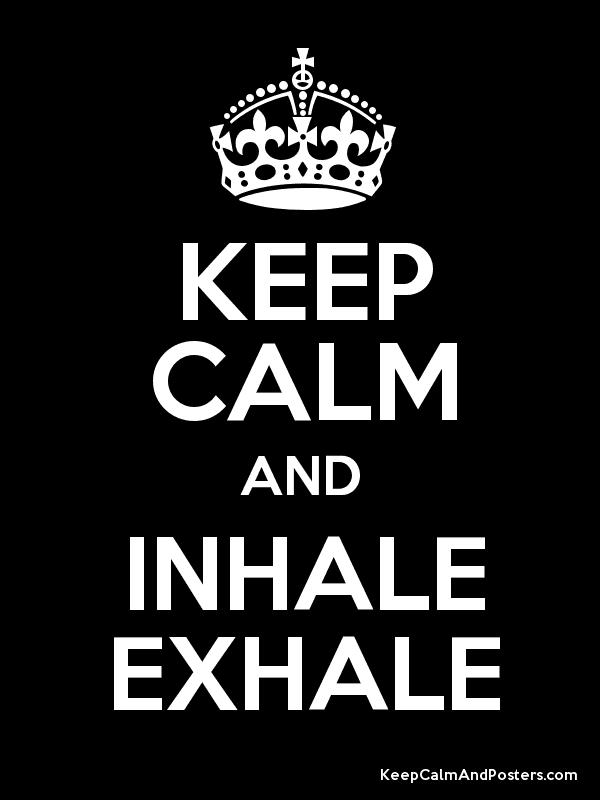 As a rule of thumb, try to make each exhalation at least three times as long as each inhalation. In addition, when you exhale fully, you engage the internal obliques and transverse abdominis. One point that I didn’t emphasize in the video is that you should, if possible, “hold” the exhaled position for a few seconds on each rep, which will increase the demand on the internal obliques and transverse abdominis and increase parasympathetic tone. On each exhale, try to expel all the air from your lungs, then pause for a few seconds and set the tongue to the roof the mouth before inhaling through the nose. On each inhale, softly breathe in through your nose and imagine only filling your lungs to 75 percent of their capacity rather than 100 percent. As I alluded to earlier, inhibition of the PEC muscles (e.g., spinal erectors) occurs during the inhalation. Thus, a good exhalation facilitates the weak and mal-positioned opposition muscles of the PEC (e.g., internal obliques, transverse abdominis, and serratus anterior) and a good inhalation inhibits the hypertonic PEC muscles (e.g., paravertebrals). We like to use this exercise in both the warm-up and the cool-down for PEC’s, and sometimes even during the workout. In the warm-up and workout, the exercise repositions the person to a more neutral alignment so that they can use better biomechanics while they do the exercises in their workout. For example, being in gross extension may cause someone to over-recruit their spinal erectors and under-recruit their gluteus maximus in a hip extension exercise like the hip thrust. After the workout, the exercise decreases sympathetic tone and increases parasympathetic tone, which promotes recovery. Because of that, we tend to program a higher volume in the cool-down. For example, we might program two sets of five breaths in the warm-up and three sets of five breaths in the cool-down. We also often encourage people to perform this exercise throughout the day, too, to increase parasympathetic tone, decrease sympathetic tone, promote recovery and relaxation, and help them undo their PEC pattern. The Swiss Ball All Four Belly Lift isn’t our only go-to exercise for a PEC, of course, since these people also need to facilitate other muscles (e.g., medial hamstrings, proximal adductors) and inhibit other muscles (e.g., latissimus dorsi). Thus, this exercise is just one component of a person’s program. Moreover, if the person’s postural pattern changes from a PEC to a Left AIC (remember, underneath every PEC is a Left AIC), then we’d change their exercises accordingly. This exercise isn’t one-size-fits-all, but a large proportion of athletes and gymgoers present with an open-scissors posture, which makes it an oft-used and valuable exercise. In the next article in this series, I’ll discuss more of the anatomy of the PEC pattern and introduce other exercises we use to help people with this posture. Don’t hesitate to share any questions, comments, suggestions or anything else in the comment section. Nesvold, A., Fagerland, M., Davanger, S., Ellingsen, O., Solberg, E., Holen, A., … Atar, D. (n.d.). Increased heart rate variability during nondirective meditation. European Journal of Preventive Cardiology,773-780. Hey Rob! Digging this series. I graduated from USC with a DPT in 2010. I wish they would have introduced PRI concepts in school! I, along with several of my classmates from SC and co-workers in Seattle, am seeking a PRT cert. Good stuff! Why is it ok to plantarflex the feet in this drill but not in pushups, bodyshaws etc? Thanks guys for everything. That’s a good question. You can perform this exercise with more dorsiflexion, though it’s typically not a primary concern with this exercise. In the other exercises you mentioned, the amount of dorsiflexion influences the person’s center of mass, which may influence which muscles are engaged and which tissues are stressed. Peter and I often use a variation of this exercise in which a person’s feet are against a wall, which encourages more dorsiflexion, though the primary purpose is to better engage the hip extensors. We plan to release a video of that exercise this summer.